Bass-baritone Rodolfo Nieto joined Really Spicy Opera in its 10th Anniversary Season for Rigoletto (2016), singing the role of Monterone. An in-demand singer in the Twin Cities, Rodolfo has been a featured performer with Minnesota Opera, Mill City Summer Opera, Minnesota Concert Opera, Lyric Opera of the North, and the Lakes Area Music Festival. 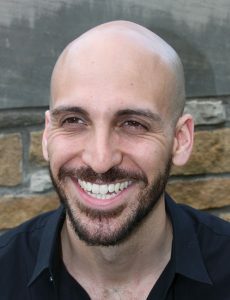 He has also sung with Bel Canto at Caramoor, dell’Arte Opera Ensemble, , Green Mountain Opera Festival, Cedar Rapids Opera Theater, and Opera Santa Barbara. He was a Minnesota District Encouragement Award winner for the 2011 Metropolitan Opera Council Auditions.